Moms are more likely than dads to do this to their children; what is it? Moms are more likely than dads to steal money from their childrens piggy bank! 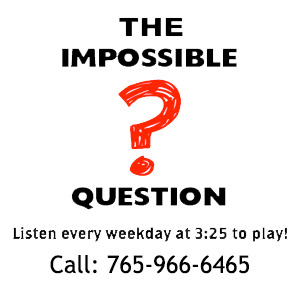 Congratulations to Nicole Forr of Greensfork, IN for being the first to correctly answer the Impossible Question!